The Trocadero Theatre at 10th and Arch Streets, Jan. 3, 2017. 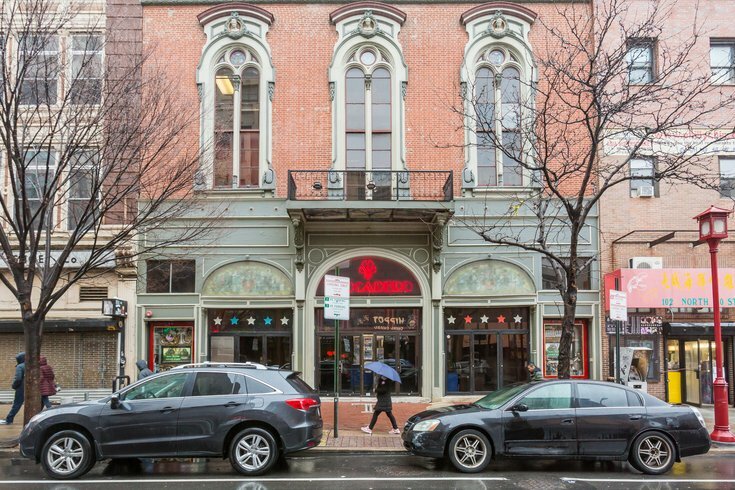 The Trocadero Theatre in Philadelphia will officially close its doors in May, Variety reports. It was announced last week that the legendary concert venue in Chinatown would end its run but the timing was not specified. “The Troc has been an amazing experience, and we’re proud of what we have done for the last 20 years — not only with regard to the local and national music scenes, but beyond, too. “We were an independent room that could embrace and pursue every aspect of multiculturalism, from drag performers to zombie proms to LGBTQ events. We were dedicated to welcoming all artistic scenes, and I’m proud of that. But it’s time." First opened in 1870 under the name Arch Street Opera House, the venue was home to minstrel shows and comedies and would later become a legendary burlesque venue. But the venue fell apart after the 1950s burlesque scene faded. It was brought back to life in the late 1970s by Pang’s father, Stephen Pang, and restored again in the 1980s for use as a concert venue. The Trocadero was home to 1,200 general admission shows and featured a wide range of significant performances in music, especially in its heyday of the 1990s and 2000s. But it hasn't always been so grand. Philly.com reported that Pang filed for bankruptcy in 2011, and its operators, Joon Associates Inc., noted that its Ticketmaster contract was "burdensome." While the issue was resolved in 2012, it didn't stop the changes that were happening in Philly's live venue scene. As sad as this goodbye is, the owner promises there will be a series of unannounced big-name performances coming to the Trocadero in May before the iconic venue hits the market.